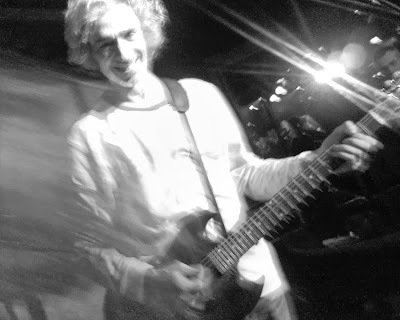 Louis Bertignac (born 23 February 1954 in Oran, Algeria) is a French guitarist, vocalist and songwriter. An ex Shakin' Street member and a founding member in 1976 of the rock band Téléphone, he formed Bertignac et les Visiteurs after Téléphone split in 1986. Tony Visconti produced his first solo album, Elle et Louis (1993) and Chris Kimsey the second, '96. In 2004, he produced, arranged and played guitar on the debut album by Carla Bruni, Quelqu'un m'a dit. Bruni in turn contributed lyrics to 10 of the 12 songs on Bertignac's 2005 album Longtemps. He performed at Live 8 at the Palace of Versailles on 2 July 2005.